Our 5th PACC went reasonably smoothly. We had a bit of a rough start when our main CW operator - PG8M - had to leave us for the first hours of the contest to attend the funeral of an OM that died unexpectedly that week (some things are more important than contesting). We were lucky to find Albert PA3GWC able and willing to help us out these first hours of the mixed mode contest (see previous post). The first hour however was a struggle as Albert was not used to the setup and software we use in the contest. This meant our rates were a lot lower than last year. 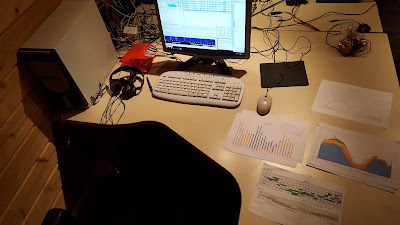 We slowly approached last year's #QSO as we got going during the following hours however. The setup was the same as the previous years. 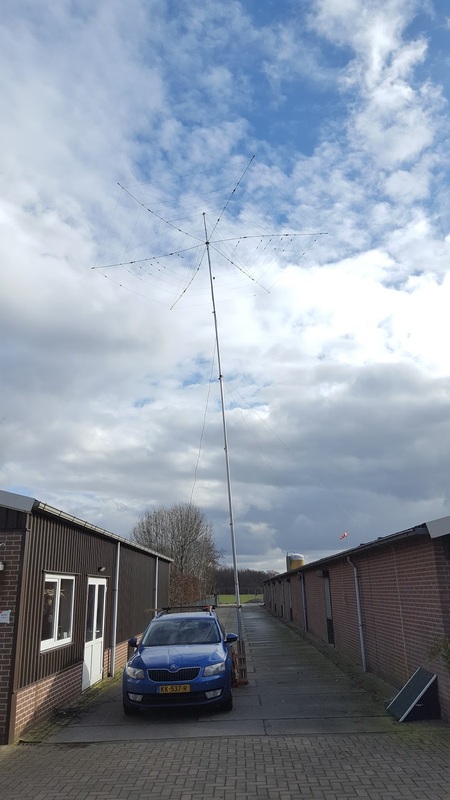 We set up our station on a campground using only wire antennas for 160-80-40m and a wire beam (hex) for 20-15-10m. The weather was fine - no snow or heavy rains this time. We did get some storm which meant we had to lower the hexbeam during the night. Luckily by the time we needed it again in the morning the wind had died down. As always we had made an operating plan based on the results of last year and QSO data we collected of the weeks preceding the contest. During the contest we used this as a guideline, checking the band conditions and band activity against it. The high bands were a disaster. We did not expect a lot but hoped for some opening on 15m. In the end we only worked 2 stations on 15m - like we did on 10m last year. We did not even try 10m this time. In the end we are pleased with the results though. One band less means less multipliers but the QSO rate was good. We managed to log even a few more QSOs than in 2017 - a volume we were very pleased with then. This is even more remarkable considering our slow start.